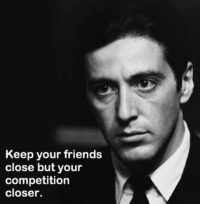 Keep Your Friends Close But Your Competition Closer. Personas Should Drive Your Marketing. Not Your Brand. Why Did They Choose YOUR Bank or Credit Union? Avoid Those Pesky FEE Bites!